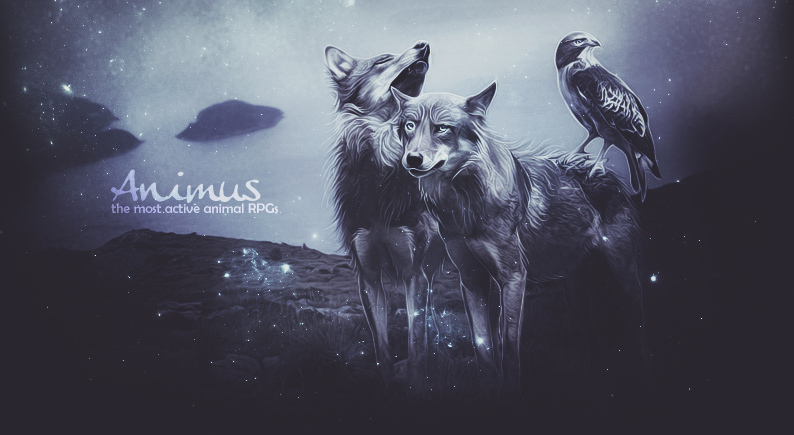 Welcome to Animus Top 50 Animal RPG's! Find and list canine, feline, equine, dragon, shape-shifter, fantasy creature and other animal themed play-by-post forums here. Animus resets our in/out rankings each month to make sure that our top-ranked RPG's are actually active, so that players can find somewhere worth joining. Ratings and comments last forever! Hopefully we could help you find what you're looking for, and thank you for visiting! Rules & Info: Newly submitted sites should appear within thirty minutes of submission. Make sure our button is visible so that your members can find it to vote for you. Using this listing to target other sites will not be tolerated (this includes leaving excessively numerous poor ratings for other sites, using profanity in comments, and similar behavior) and those who do so will be subject to having their comments removed and their IP addresses banned without warning. Duplicate listings, Long-dead sites, sites that don't fit our theme, sites with adult content, and sites that use scripts to track clicks to topsites will be subject to deactivation without warning. If you can no longer access your listing or have other questions/comments, please contact wolfofwinter1[at]gmail[dot]com. All are welcome at Ravensvair: a semi-realistic wolf rpg with a history. With origins steeped in tradition, the new wolves of Ravensvair must pick up the pieces following a great rebellion. Will the big cats of Holocene fight for their home or will the humans come and conquer the last blank spot on the map.